Again, we are going to review a 1080p product for you all who very much prefer the maturity and stability of Full HD resolution. This Smart TV is certainly one of those big beasts still roaming today’s market. Here, we present you Sony KDL75W850C. Sony KDL75W850C is a 75-inch large Smart TV featuring Full HD resolution and Active 3D view. Thanks to the presence of Sony’s X-Reality Pro Engine, the product is able to deliver very sharp details of an image. Sadly, TriLuminous Display is saved away from this product. Therefore, the color range is not exactly as wide nor as deep as other Sony’s higher-ends. Fortunately enough, KDL75W850C has a strong contrast to compensate the previously mentioned disadvantage. The contrast ratio between black and white here is 4867:1, which shows that the blacks are properly deep and great. The TV also works wonders in handling fast, fluid movements since Sony implemented Motionflow XR 960 with 120 Hz effective refresh rate. Like other LED backlit LCD TVs, Sony KDL75W850C also suffers the bane of side angle viewing. Though the colors are excellent at center-front, you will already meet massive degradation in contrast and color saturation once you hit the 25 degrees mark off the center. Put your couches accordingly. 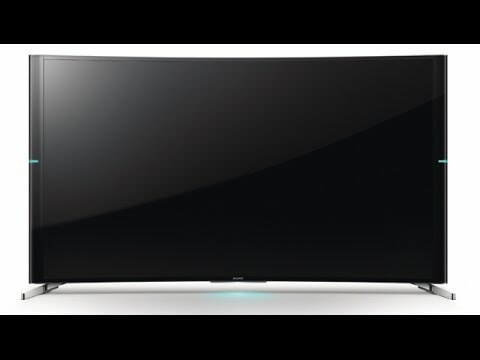 At least, there are nice extra features in this Smart TV, like Android TV with Google Cast, Voice Search, and dynamic integration to your PlayStation. Check Sony KDL75W850C’s best price here .